When The Great British Baking Show arrived on Netflix last week, the show’s legions of American fans rejoiced. There would be more perfect sponge, more perfect Britishisms, and more of Paul Hollywood’s perfectly gelled hair. It’s a show that basically everyone loves for its big heart and docile vibes, but when Vallery Lomas saw the news, she says she felt a pang of sadness. The show’s American return was an unintentional reminder that, a year ago, she had been in the famous tent herself, where she was named the winner of the third season of The Great American Baking Show, the franchise’s American spinoff. She returned home to New York, unable to tell even her closest friends that she was poised to become a breakout baking star. She’d have to keep her secret until the finale aired, which never happened. After one of the show’s judges, pastry chef Johnny Iuzzini, was accused of sexual harassment and abuse by multiple women, The Great American Baking Show was unceremoniously canceled by ABC, along with Lomas’s shot at fame. Now, nine months later in her Harlem apartment, she’s working to gain back the recognition that she should already have. The show wouldn’t offer a cash prize, but victory would mean exposure and plenty of opportunities to grow her own personal baking brand. After an audition in L.A., Lomas was in. Binge-watched every single Nathan For You episode I could find on YouTube. HOW HAVE I NEVER HEARD OF THIS SHOW BEFORE?? I blame you. ALL OF YOU! I sooooo agree with #2. I hope everyone in the storm is preparing for this one. 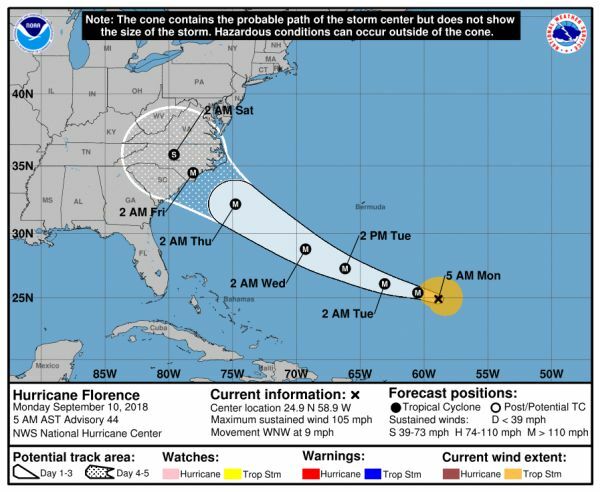 Computer model forecasts generally project the storm to make landfall between northern South Carolina and the North Carolina Outer Banks, although shifts in the track are still possible and storm impacts will expand great distances beyond where landfall occurs. Stay safe if you’re in this area.